The beautiful and diverse city of Spokane, located along the banks of the Spokane river, offers residents the perfect blend of stylish dining, arts and entertainment. The city of Spokane harmoniously blends a dynamic cultural life with one-of-a-kind attractions and outdoor adventures. While Spokane is known for being the largest urban settlement between Seattle and Minneapolis, the Lilac City is also recognized for its forward-thinking approach to problems, affordable housing, quality living, and diverse economic opportunities. Interested in relocating to Spokane? A real estate professional in Spokane will be able to advise you on the neighborhood that will best suite your individual needs and style. Contact Nancy Wynia for more information about the properties that are currently for sale in the Spokane market. Nancy Wynia is a Spokane professional with many years of experience. Her industry expertise and area knowledge will prove advantageous when sifting through the countless listings for sale on the Spokane market. 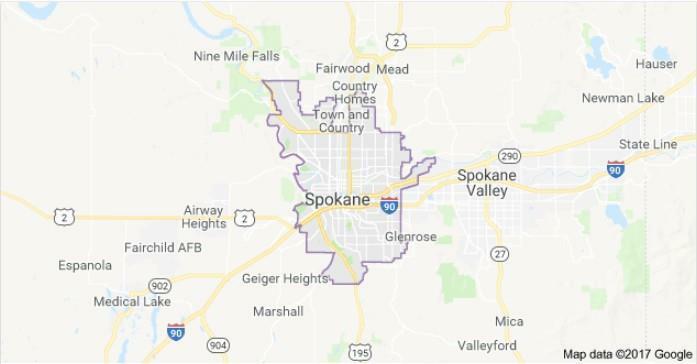 Spokane's healthy economy has drawn nearly a quarter of a million people to reside within the city limits and more than half a million to occupy Spokane County more broadly. Spokane is growing due to its economic opportunities, affordable housing and unique qualities. The city's rich architectural history is evident in its many distinctive neighborhoods which range in style from the late Victorian-era to several all-new construction communities. Spokane's north side is comprised of mostly residential space, but also contains several large retail districts and the highly acclaimed Gonzaga and Whitworth Universities. The city's south side contains some of Spokane's oldest residential areas. The view of South Hill is monopolized by swathes of evergreens and two large architectural features. Peering through the leafy growth are two of Spokane's most recognizable buildings: the Cathedral of St. John the Evangelist, and the Sacred Heart medical center. The city of Spokane, recognized time and again for its many wonderful features, has amassed an impressive list of accolades. The city has been nationally recognized for its affordable living, healthy lifestyle and great quality of life. Spokane serves as the epicenter for regional dining, shopping and entertainment. Opportunities for world-class dining and shopping populate Spokane's lively downtown and its surrounding areas. Spokane's burgeoning wine industry is home to over 20 wineries. The up-and-coming wineries in Spokane are quickly attracting national attention for their quality taste. Many of the wineries have been nationally awarded for their superior wines. The eclectic and entertaining city also features shows from multiple live theaters, outstanding performances by nationally recognized musicians, and countless gallery shows and openings. City-wide artistic and cultural events are available for attendance any day of the week. In Spokane, there is always something to do for everyone. The Spokane area is a wonderful place to experience a multitude of outdoor recreation. The Spokane River pierces the heart of downtown, offering residents a chance to enjoy recreation provided by the river's moving waters. The region is also home to five ski resorts all within a short distance from the city. Residents who do not enjoy skiing may enjoy visiting one of the region's 76 lakes or more than 30 golf courses. For those interested in jogging, walking and biking, Spokane offers access to a paved portion of the infamous Centennial Trail. With so many wonderful opportunities for recreation, residents of Spokane need not go far in order to experience a vast array of outdoor activities. The area, known to its naive population as Spokane Falls, was originally settled by multiple groups of the Spokane Tribe. The native Spokane people used the area to gather and hunt food. The indigenous people also caught fish, a staple of their diet, on the banks of the Spokane River. Traders and trappers came to the area as early as 1810. The first to explore the region was David Thompson. A Canadian explorer and geographer, Thompson built a fur trading post at the intersection of the Spokane and Little Spokane rivers. The post marked the beginning of the first long-term non-native settlement in Washington State. The first American settlers established their residence in 1871. Soon, others followed, and by 1881, Spokane was officially incorporated as a city. Derived from a Salish term, the city's name means "Children of the Sun." In 1881 the Northern Pacific Railway was complete. The addition of the rail line brought a major influx of Europeans into the area and Spokane soon became the commercial center of the Inland Northwest.